This post was authored by our summer intern, Vincent Millan. Vinny is rising junior majoring in civil engineering at SUNY Buffalo. He grew up in New Rochelle, N.Y., and we were very lucky to have such a hard-working, competent young person in our office this summer. When I learned about Westhab a few years ago while working as a sports coach with Backyard Sports, it never occurred to me that one day I’d be a summer intern for them. At the time, I was part of Backyard Sports’ community outreach program, which provided coaches for children from low-income families (including kids enrolled in Westhab’s after-school program) at a small community center on Linden Street in the Nodine Hill neighborhood of Yonkers. I thought Westhab ran a great program, and I became interested in learning more about the organization. Fast forward five years to this spring when I was looking for a summer internship to gain some experience before I headed off to finish my undergraduate degree. One of my first thoughts was to reach out to past employers to see if they had any available opportunities. Before I knew it, Westhab had given me a chance. At first, I was uncertain if an internship with a nonprofit organization that built affordable housing would be the right choice for me, a civil engineering major—even after I was told that I’d be working in the real estate development department. But I quickly realized that it was a good decision in more ways than I could have imagined. On my first day, I truly did not know what to expect from this internship. I wondered if I’d be on a computer all of the time, or if I’d be shuffling through papers for hours a day. As it turned out, every day was something different. I quickly learned how the real estate development department works, but I also learned about the other elements of working in a nonprofit. From site visits to budget meetings, to learning how nonprofit organizations are funded, there was always something new to discover and experience. My favorite project from my time at Westhab was working on Dayspring Commons, a planned affordable and supportive housing development that will be built adjacent to Westhab’s Dayspring Community Center in a familiar community—Nodine Hill. I enjoyed attending the meetings with the architects, looking over the schematics, and helping to figure out ways to try and improve the plans. It is incredible to see how a project is essentially started from scratch and slowly but surely begins to shape up to what you hope it will become. I learned about all the time and effort it takes to get a project moving, from contacting vendors, to submitting the necessary paperwork for city permits, to having countless meetings both in person and over the phone. I loved learning about all of the different facets of a project, but my favorite part was definitely the design process. Although I enjoyed all the work I did at Westhab, the most memorable thing to me will always be the people I worked with. From the start, I could sense how Westhab really was like family. Everyone knew each other, joked with each other, and most importantly, supported each other. This showed me how crucial teamwork is in order for things to run smoothly. No matter what question I had, big or small, someone was always there to help me find the answer. Because of this, I was able to learn much more than if it had been a less welcoming workplace. On top of that, I was so amazed at how everyone at Westhab truly believes in their job and the good that comes from it. This was very inspiring. They understand the real value that comes with helping change peoples lives for the better, and I believe that that is all you can ask of someone—to truly believe in what they do. I am beyond grateful to Westhab for giving me this opportunity to work for them and learn from them. 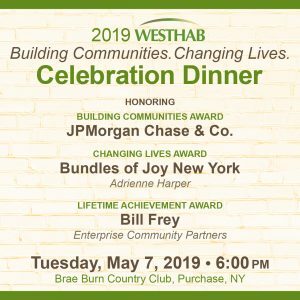 I am happy to have been able to experience so many different aspects involved with working, not just in real estate development, but also in a great organization like Westhab that does so much for the community. I am certain that all this knowledge and experience will undoubtedly help me in the future as this gave me one of my first tastes of a business atmosphere and office setting. I will take everything I can from this priceless experience as I pursue a career in civil engineering, and who knows, maybe in several years I will be working with Westhab again, but this time as a consulting engineer helping construct one of their buildings. Maybe back in Nodine Hill?